The Obama administration must convince 2.7 million Millennials to buy health insurance, or the new government exchanges being set up to provide coverage could prove to be a bust. Because these younger Americans are usually healthy and rarely rack up huge medical bills, their monthly premiums would make it cheaper for the exchanges to affordably insure 4.3 million other Americans. The government has scrounged up $1.25 billion to market Obamacare—a must-win campaign that could make or break the 2010 law to expand coverage. It’s a gamble on a generation raised by reality TV, fed with Lunchables, stuck with student loans, and addicted to the Internet. Millennials not trusting obamacare website. Vandelay Industries flashback. 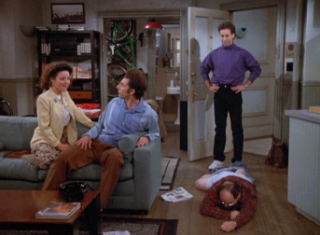 “And you want to be my latex salesman”. This entry was posted on November 8, 2013 at 8:27 am and is filed under Uncategorized. You can follow any responses to this entry through the RSS 2.0 feed. You can leave a response, or trackback from your own site.